Hello, everyone! 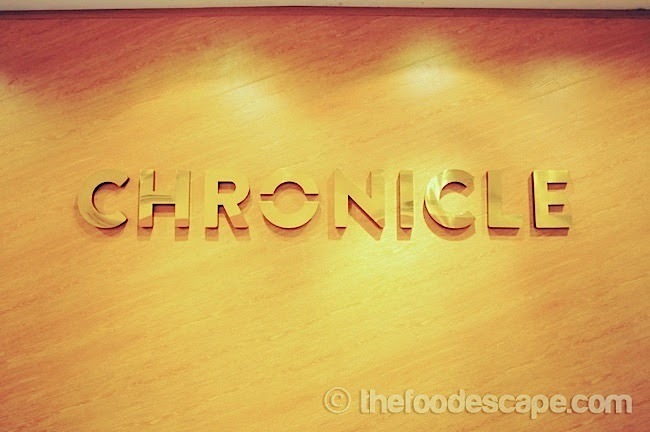 It’s been a while since I last wrote an article for Food Escape, because as you might have known already, I am more active as photographer for this blog. 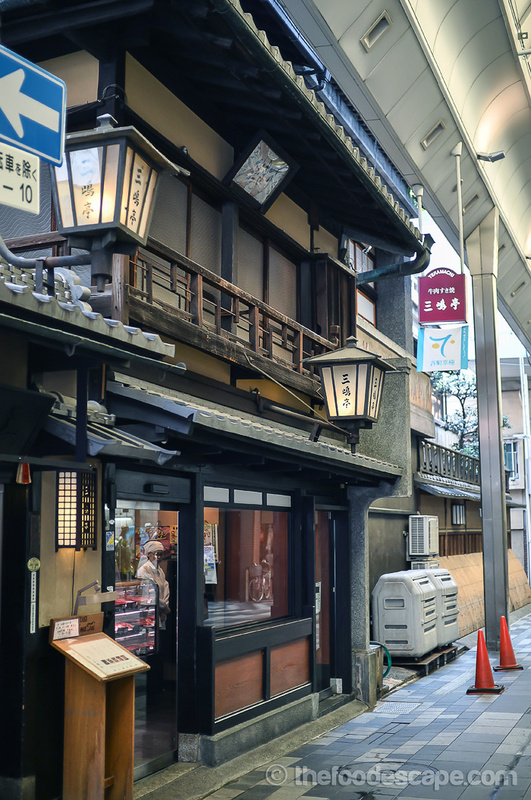 I was in Kyoto, Japan, for business trip few months ago (August) and although it’s quite late, I would like to share some interesting info about Japanese food! 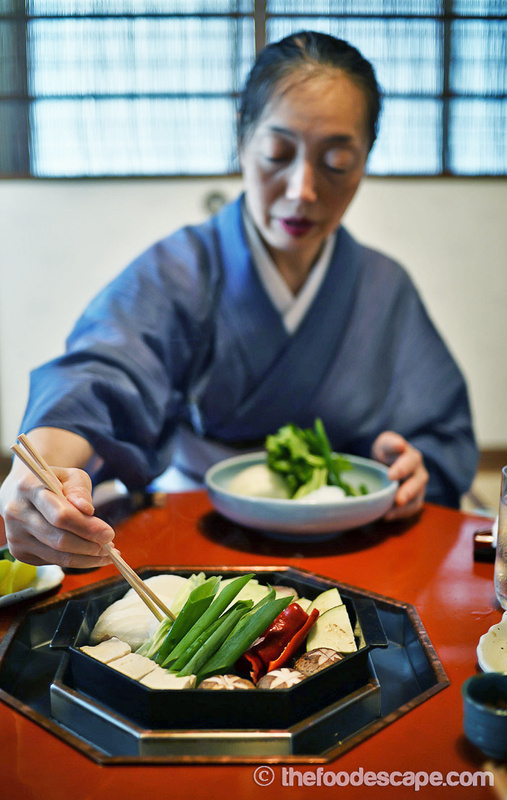 Japan is undeniably still a top destination for tourists and Japanese food is also becoming more and more popular around the world. 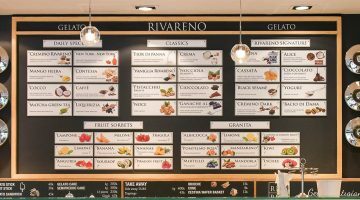 Most people from most of the countries would have tried or heard of Italian, French, Chinese, Japanese, or Thai food; and they are available almost everywhere on this planet. 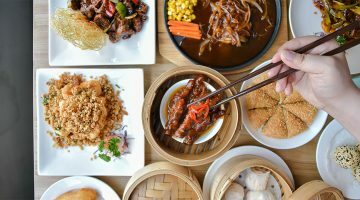 But for locals of where the cuisine originated from, what tourists are familiar with and what local people actually consume daily are very different sometimes. What I’m trying to say is, there are always a lot of things more than you know that can be explored and enjoyed everywhere you go as long as you’re willing to find it. 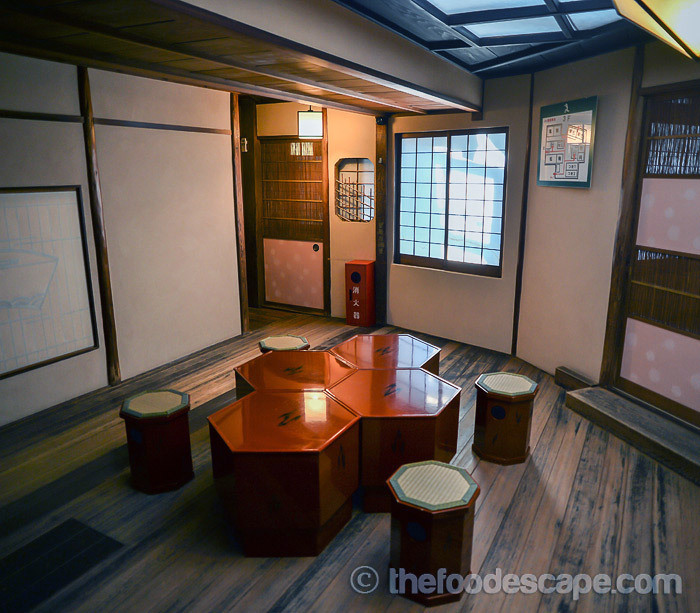 The restaurant I will review this time is called Mishima Tei and it is located in Teramachi street in Sanjou of Kyoto city. 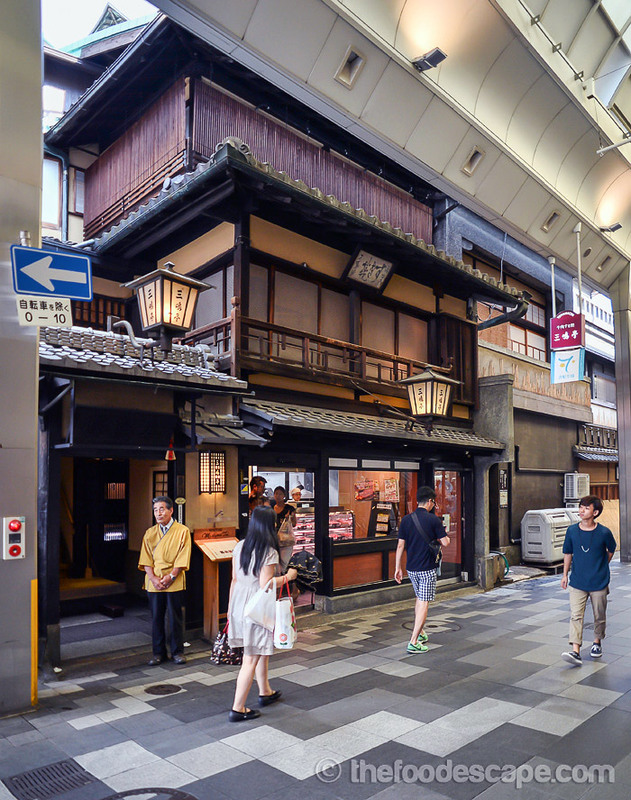 Sanjou is Kyoto’s shopping destination for locals and tourists in Japan, while Teramachi Street is just one of those streets called as “Shoutengai” by Japanese people. 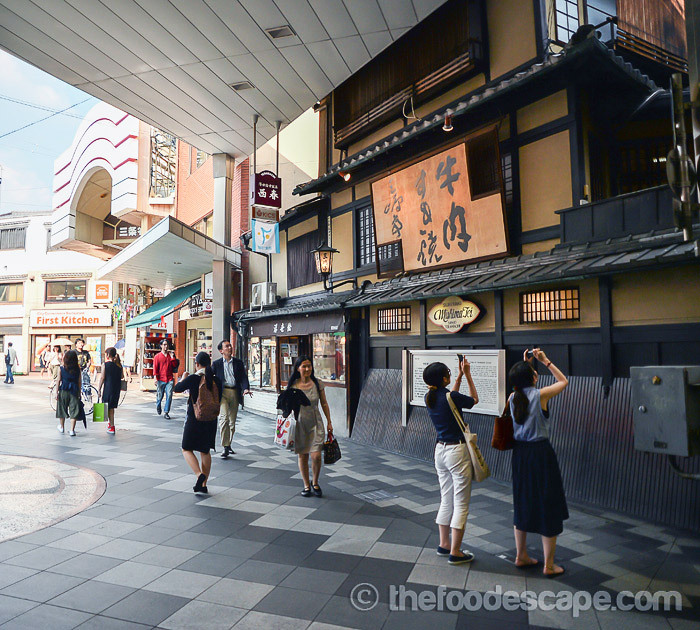 It is commonly known in Japan as shopping town or shopping street. 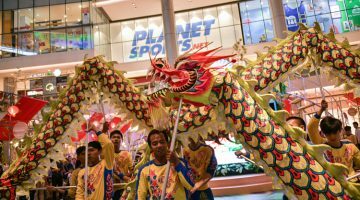 In west, it looks like a large free market that you can find anything from grocery, food, gadgets, gifts and all other kind of products. 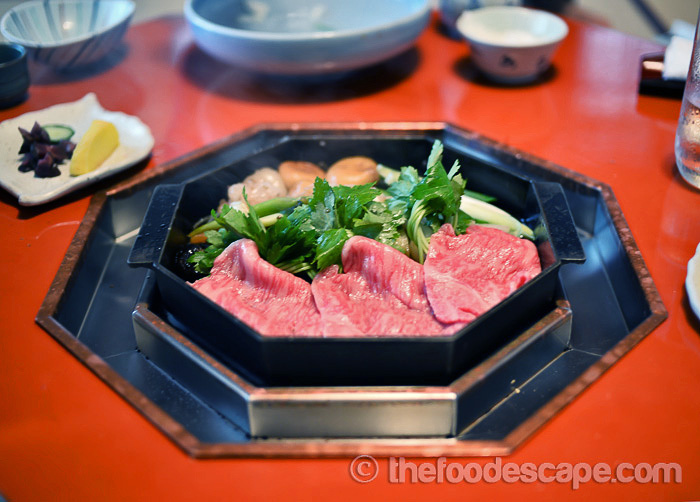 Mishima Tei is famous for Kansai Style Sukiyaki (I will get in the detail later), other Japanese beef cuisine and premium selections of Kansai beef and dairies. You won’t miss it because of its traditional style building that is made and decorated by wood, and there are always people who take photos outside, haha! 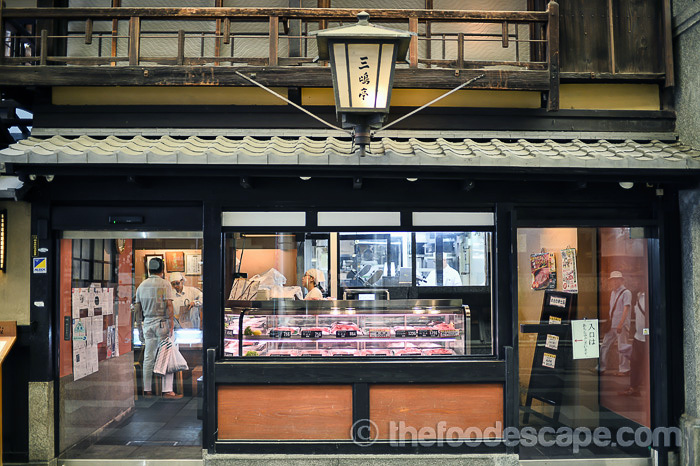 The dairy or meat shop is located on ground floor in storefront and the restaurant is on the second floor. 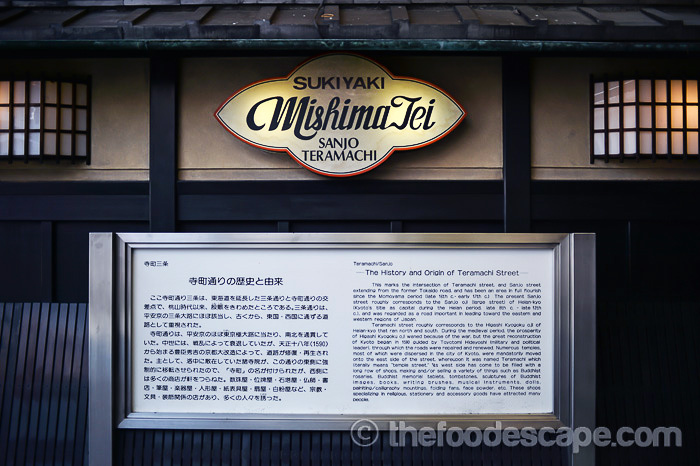 Kanekichi Mishima，founder of Mishima Tei, who served samurai of court noble, mastered “Gyu-nabe” with his wife at Nagasaki and he came back to Kyoto on 1873．Then, they found Mishima Tei at Sanjyo Teramachi. Ever since, history of Mishima Tei is over 130 years. 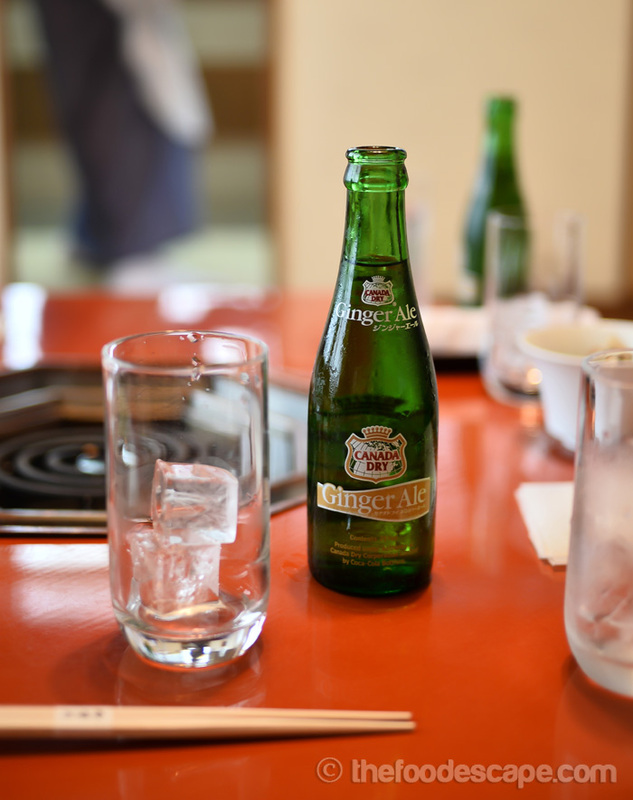 Now, a 5th generation who keeps the taste with staff same as the predecessors. 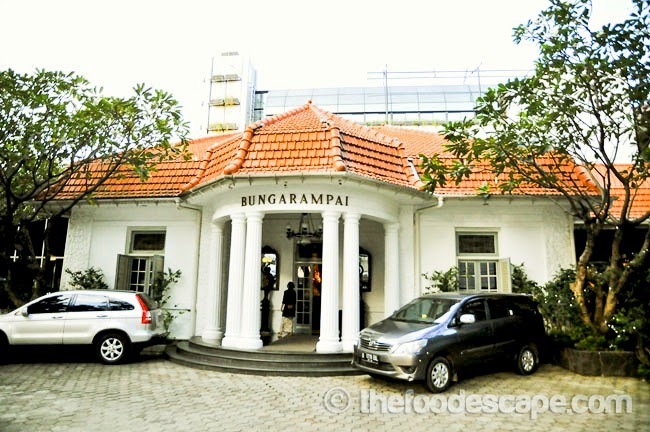 This building is same as over 130 years ago. We select the beef in mature eyes. 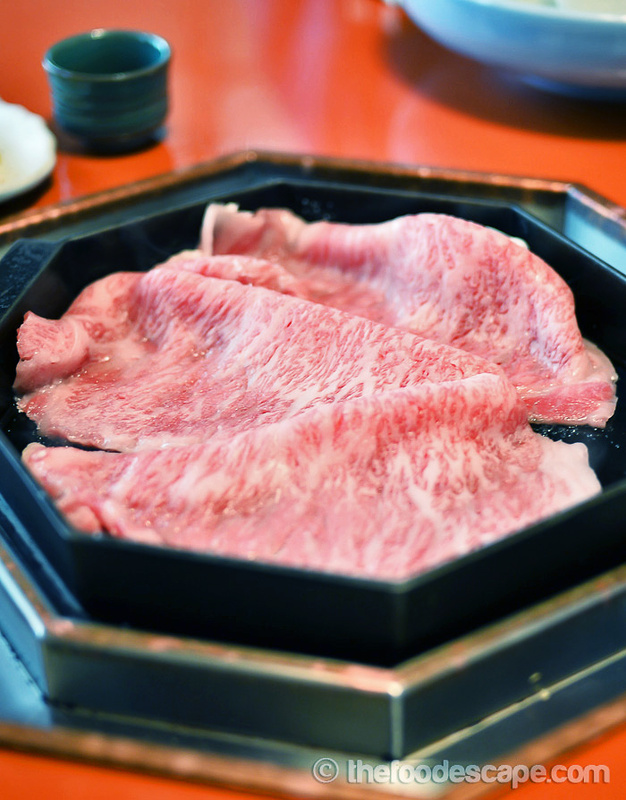 We serve you the beef which is ripped and boiled by original way. Now, Mishima Tei is famous and known throughout the world. I might make you guys feel sleepy reading about so much details but this is my intention to share some knowledge for people who appreciate it. 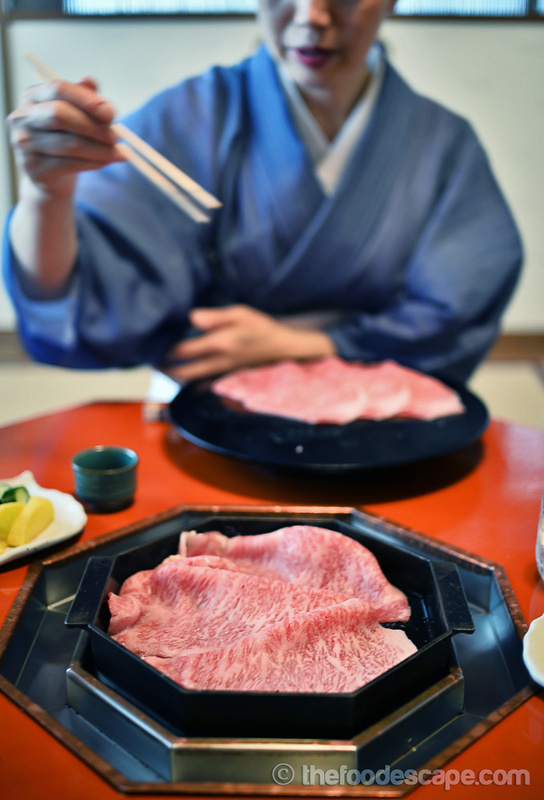 Japanese is one of the nations that started consuming beef quite late compared to other Asian nations. 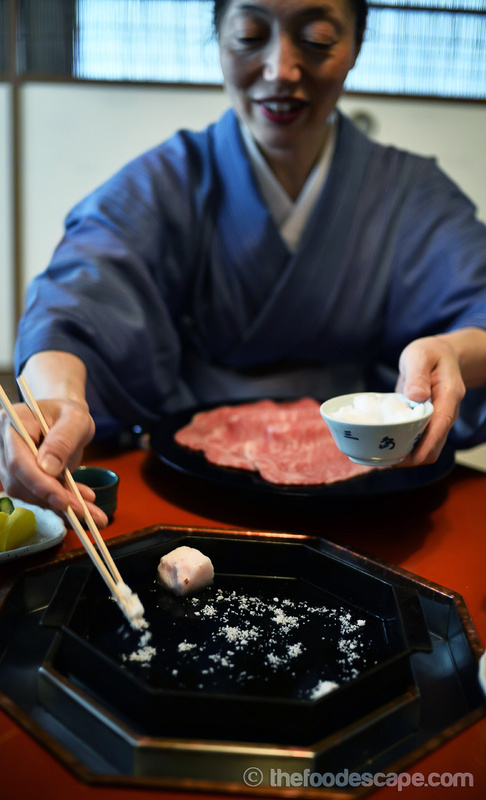 For their beliefs, Japanese were known to consume fish, chicken, vegetable and rice as their main food and refused to consume red meat (beef) up until Japan opened its port of Yokahama in 1859. Pre-Buddhism Japan didn’t have any cow until the cows and horses arrived from Mainland China along with the Buddhism. Pre-Buddhism Japanese only consumed boars, which were commonly found that time. After Buddhism arrived in Japan, 4 legs animals were banned to kill and consume (more legs meant bad). Rich and royals consumed only milk. For these reasons, from 1859 until 1864, Japanese government imported cow from China, Korean Peninsula, United States of America, and when demand was too high to be fulfilled, cows were sent from Kobe to Japan’s first slaughterhouse in Yokohama. So basically, up to World War II period, beef was not a common food in Japan. 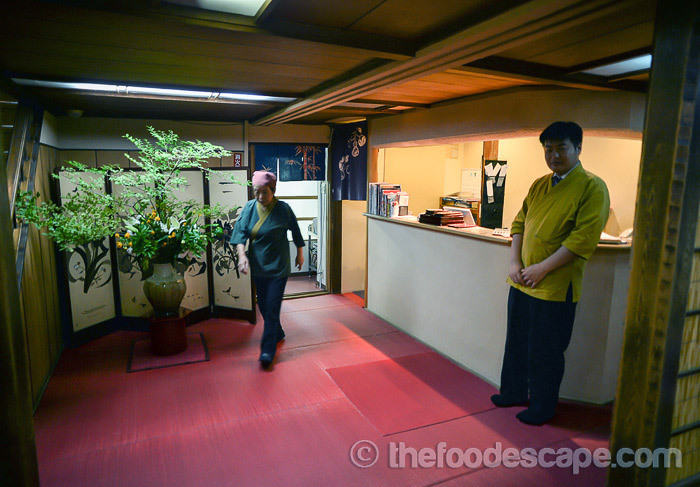 Not long after the opening of the slaughterhouse in Yokohama, the first Sukiyaki restaurant called Gekkatei in Kobe was opened with unique cooking technique that uses sweet sauce (sugar and shoyu). 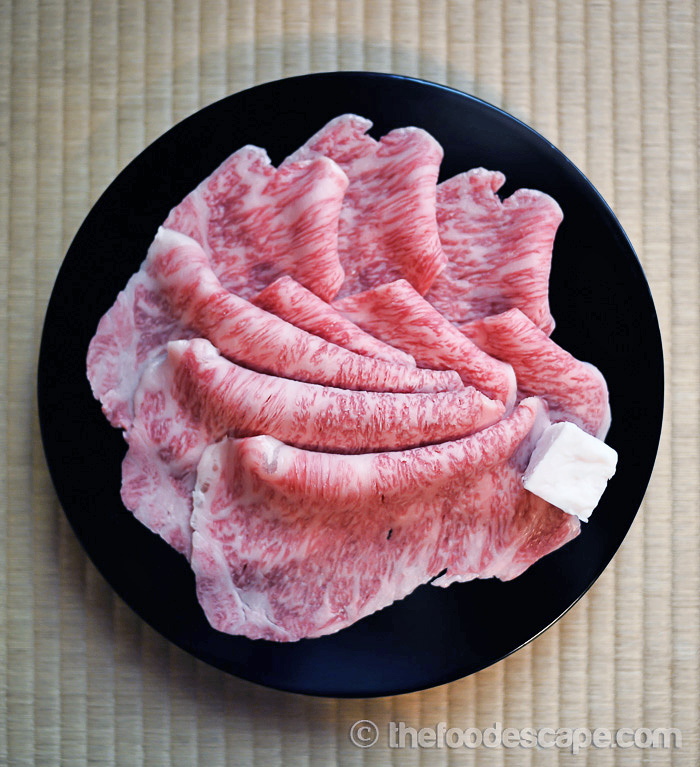 It is believed to be where the name Sukiyaki originated. Later, the low-grade version of its kind became popular after Tokyo’s Great Earthquake around Kanto area. 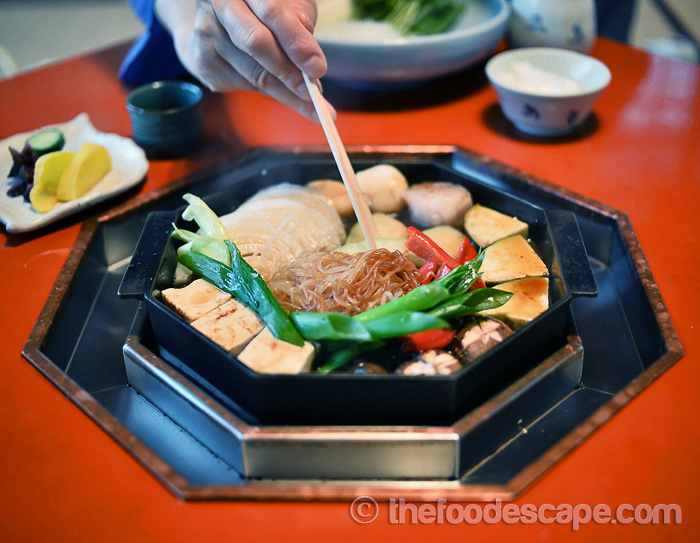 As the result, this Kanto-style Sukiyaki eventually became world well-known Sukiyaki that we know more familiarly nowadays. 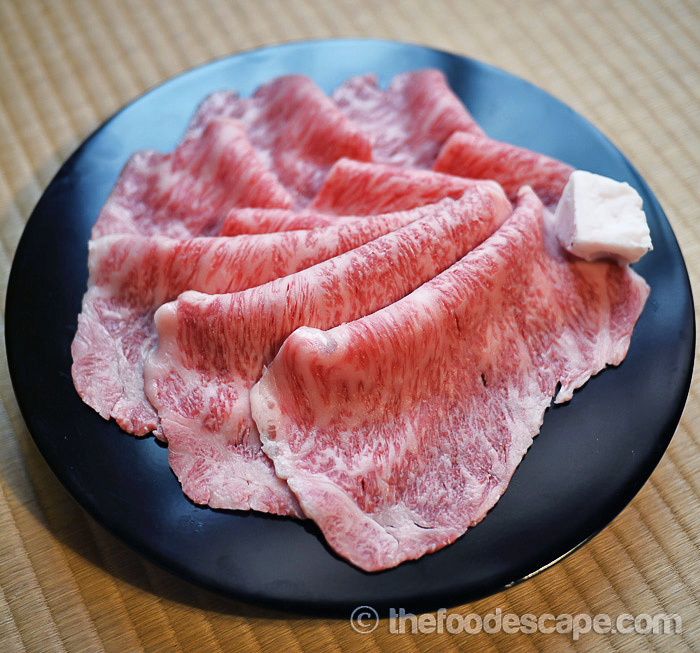 Enough for the history lesson and get started to the topic of difference style of Sukiyaki. 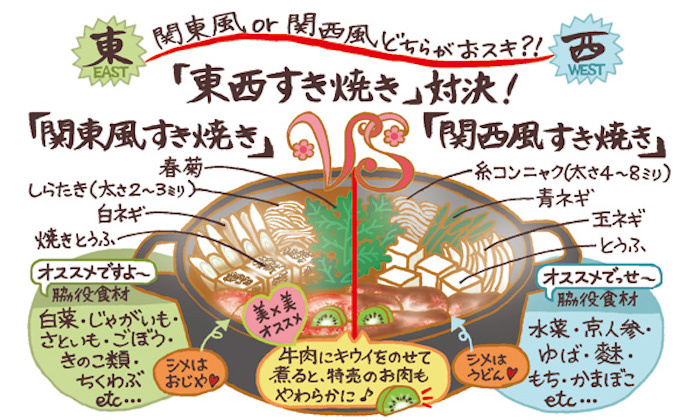 Since I’m going to be introducing about Kansai Sukiyaki, so here is the nicely drawn cartoon I borrowed to explain it to you. Left-side (East) is Kanto Style, and West is Kansai Style. If you notice the difference by looking at it, simply speaking, the difference is the cooking method and the ingredient used. 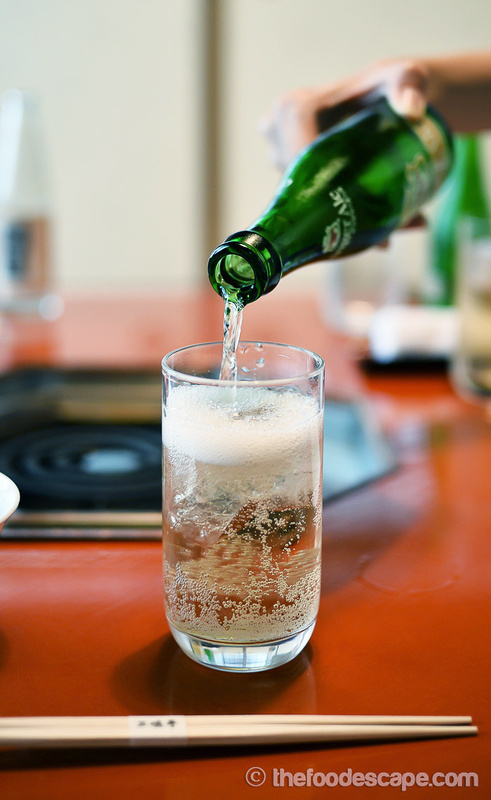 Kanto Style = Watery, Kansai Style = Dry/Grilled. 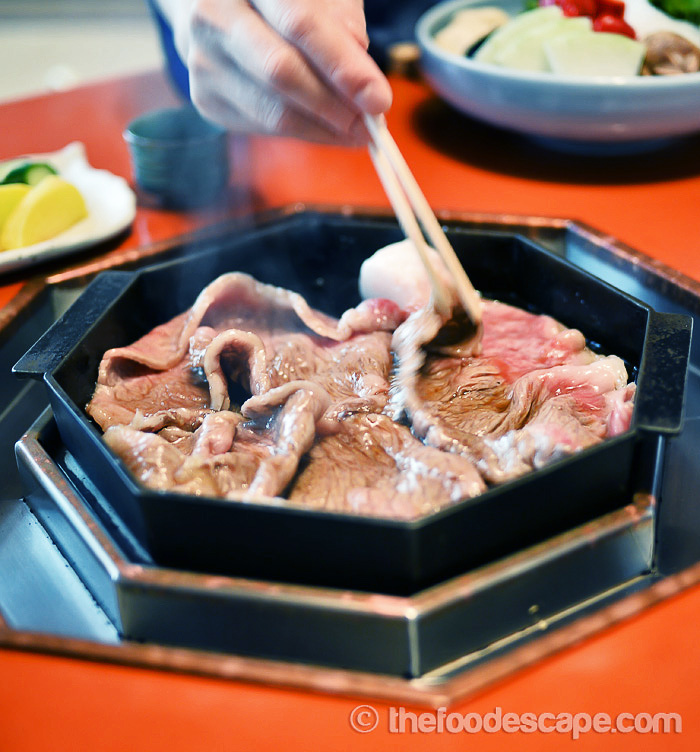 While both Sukiyaki uses similar sauce and same ingredients, other differences are the quality of the beef itself. Kansai people are much more advanced in nurturing the cows than people in Kanto. 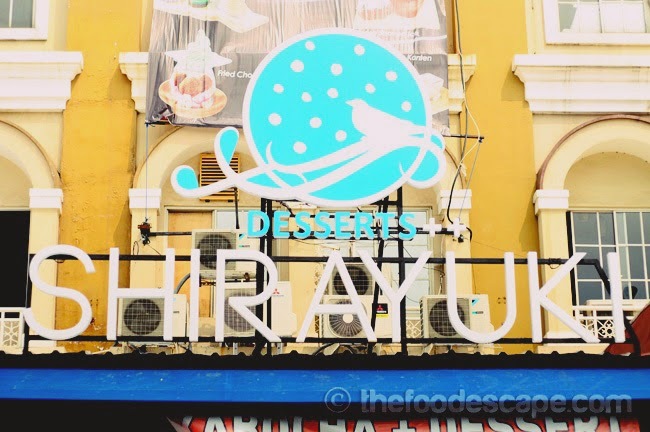 Now let’s talk about the restaurant. First, when you step in the restaurant, you will be asked to take your shoes off and the attendance will take care of your shoes for you. 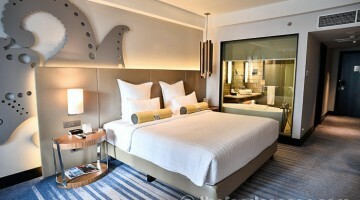 Other attendance will take you to the second floor, where the dining area is located. Remember, NO SHOES! 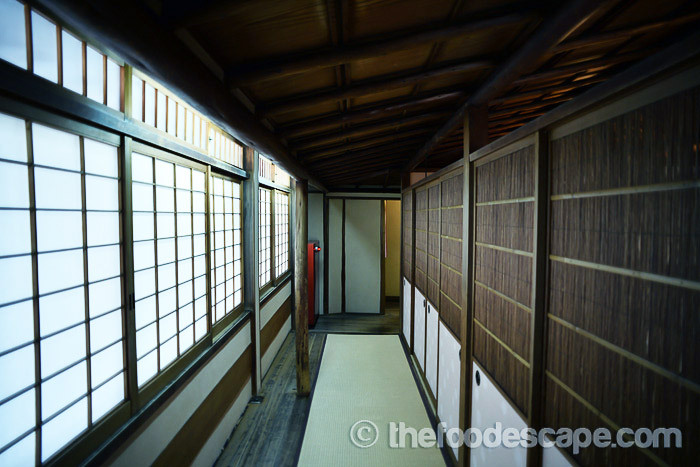 There are several rooms you can choose from and all are decorated with traditional Kyoto design interior. 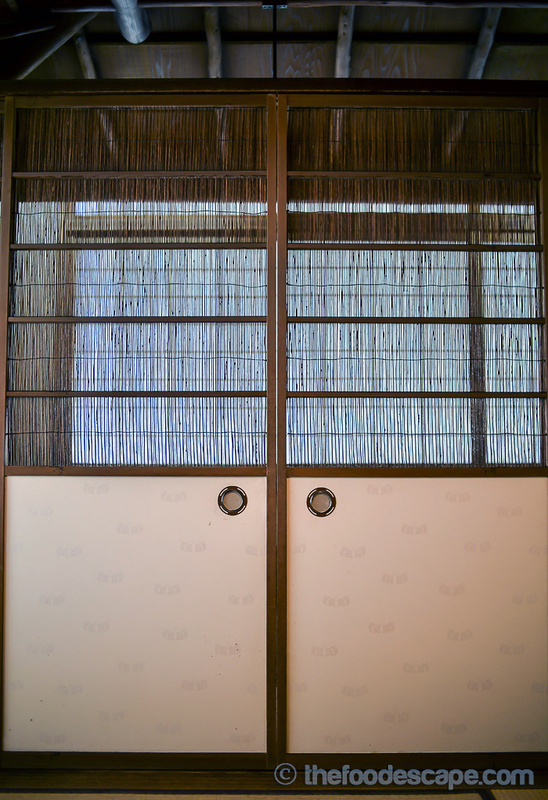 Since I went there with my colleagues, they booked a private room with tatami (feels like having a time slip into Showa era!). 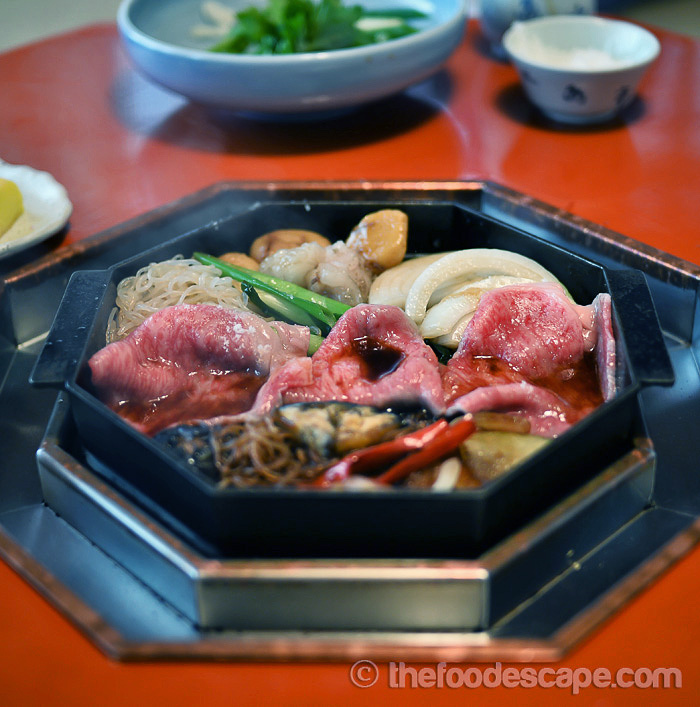 For dining Kansai-style Sukiyaki at Mishima Tei, you don’t need to do or worry about anything. You just sit and relax and enjoy your meal. 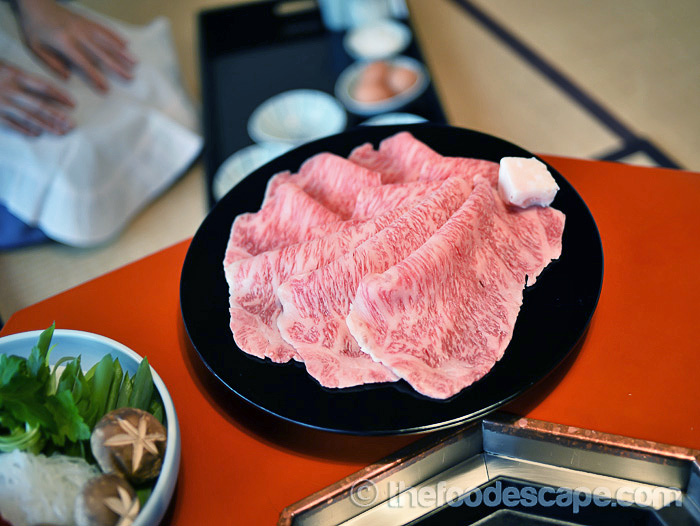 The Sukiyaki will be cooked step by step by professional. It will be great if you have your smartphone or videocam to record the process so you can cook it with your loved one at home! 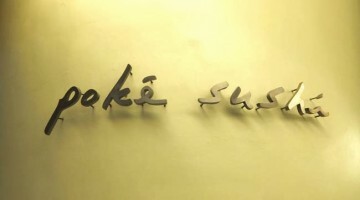 We picked Tsuki Course Sukiyaki (minimum 2 person) which pretty much explained a lot about Kansai Style Sukiyaki. Let’s start! Started with the Vinegar cucumber and grilled salmon as appetizer while we were waiting for the main dish. 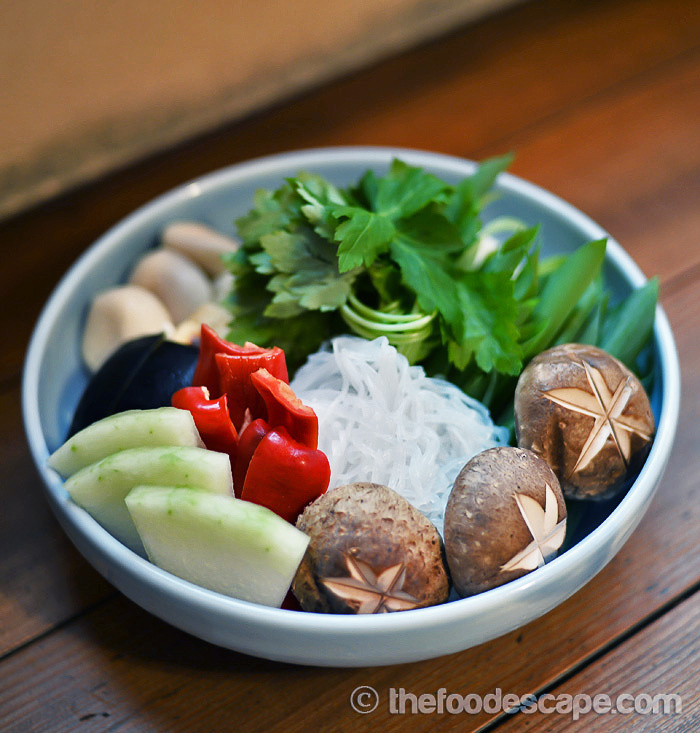 Here is another star of Kansai Sukiyaki! Why? 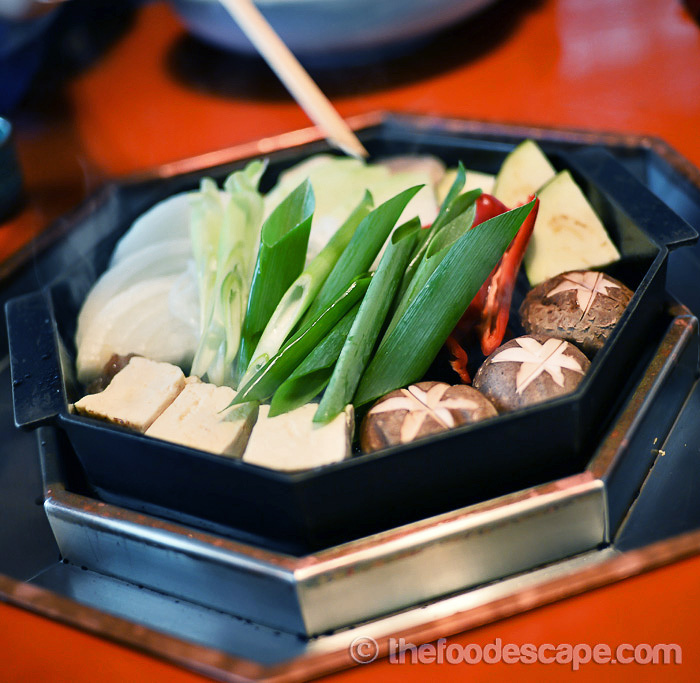 The signature of Kansai Sukiyaki is the vegetables and especially, vegetables from Kyoto. 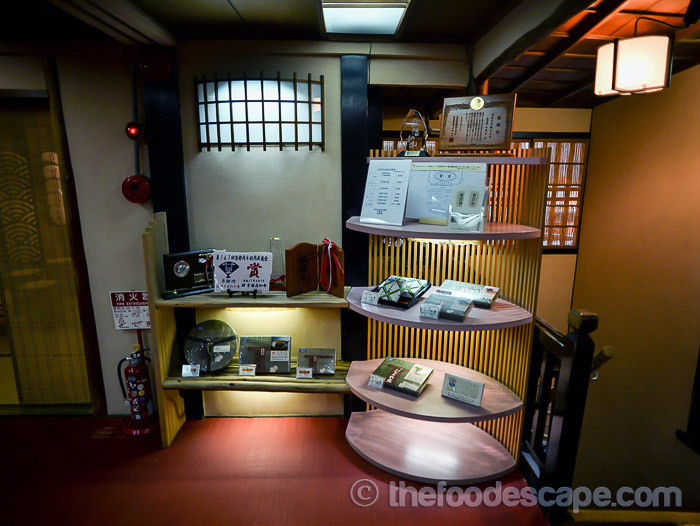 Kyoto is well-known to serve blandest taste food in Japan (not my cup of tea). 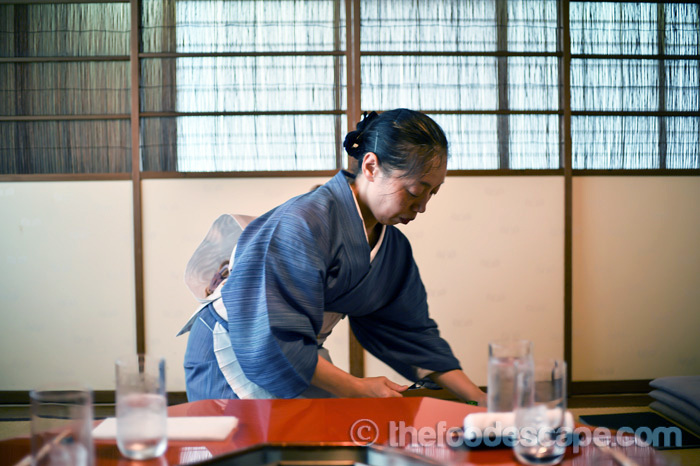 That is the reason that I agree that Kyoto food is better to enjoy the key ingredient taste because of its quality. All the vegetables especially carrots are naturally sweet and so tasty! Even Eastern bloodline Japanese like myself would appreciate the taste of Kyoto’s vegetables. For our vegetable set, we got special veggies that are not usually served, which is the seasonal Kyoto pepper that made good contrast of the bowl, plus it was crunchy and very tasty! 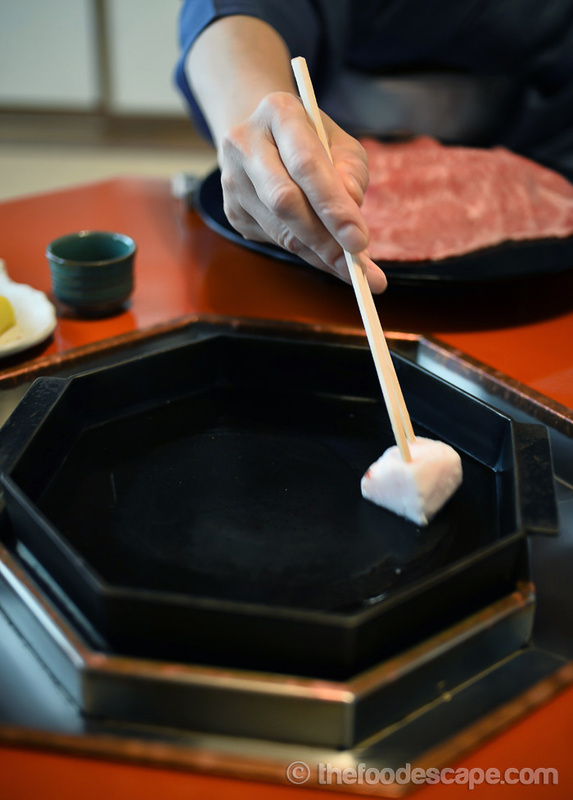 No raw beaten egg, no Sukiyaki! Some of you might feel ill thinking about dipping meat into raw egg. 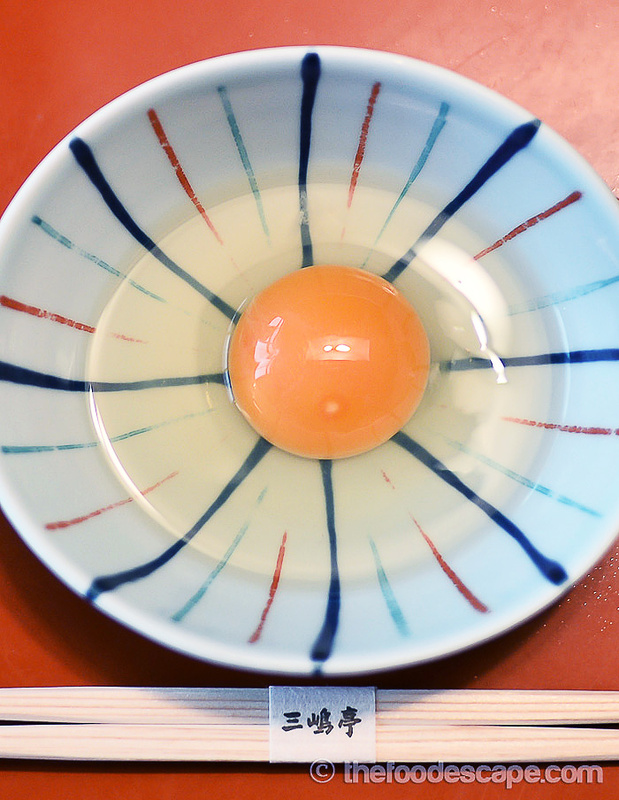 But don’t worry about the quality control of Japanese eggs! It’s not even smelly like most raw eggs in Asia do! 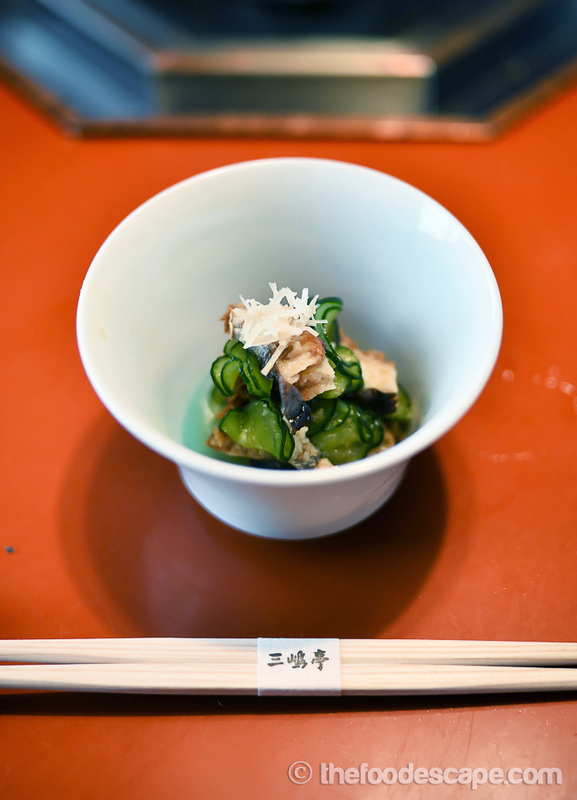 Other than the raw egg, there is a bowl of rice that can be refilled as you like and there are pickles and flavored Bonito flakes for your rice. 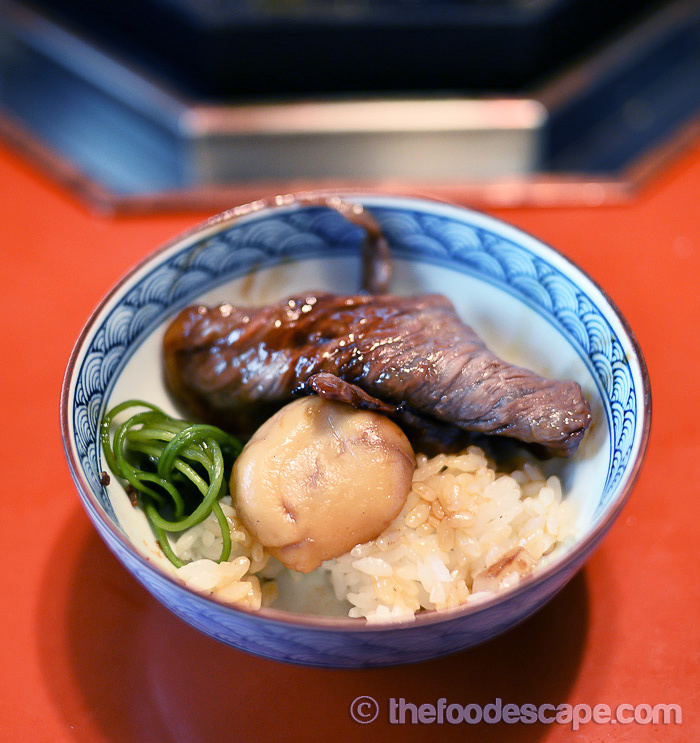 Are you bored enough or even more curious about the Sukiyaki? Whatever your answer is, let’s start cooking! Step 1: Oil the grill with premium cow fat. Step 2: Put some sea salt on the grill. Step 3: Now cook the meat which is the main star of Sukiyaki!!!!! Step 4: Pour sweet sauce to the meat and cook it together. She didn’t cook it too long so we can enjoy the juiciness and texture of the meat. Step 5: Don’t forget to beat the egg while waiting for the meat. 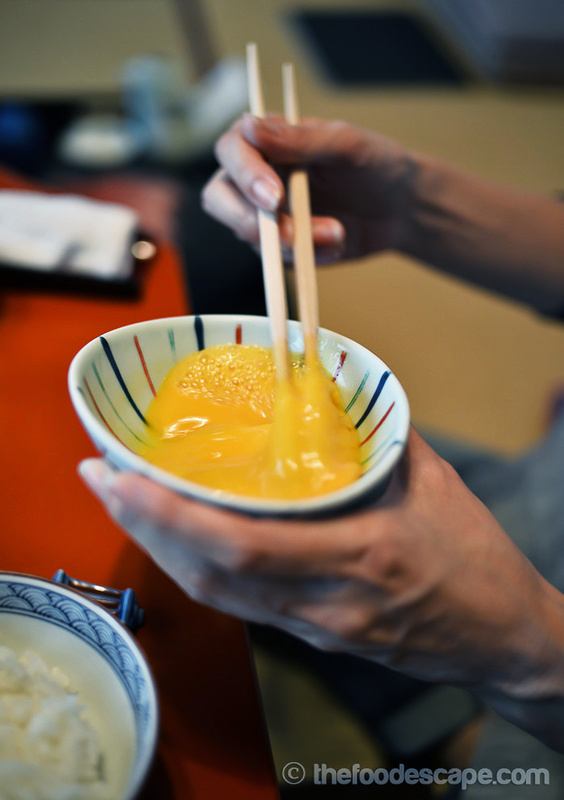 Step 6: Dip the beef into beaten raw egg and enjoy eating with your rice! 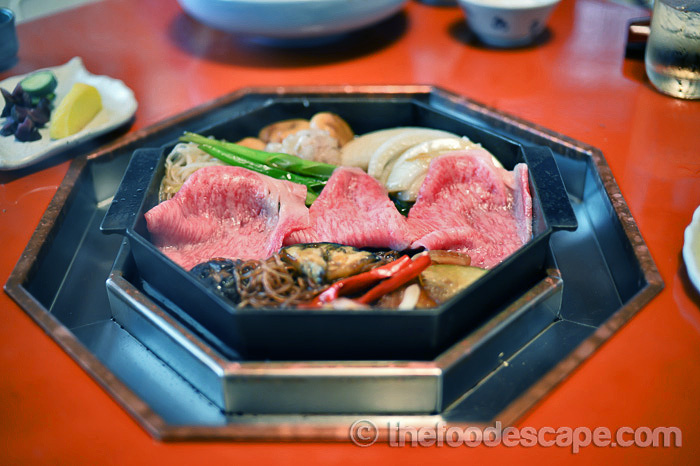 In Phase 1, Mishima Tei and its Kansai style Sukiyaki are designed for you to enjoy everything that meat gives in the beginning to tease your appetite. The meat was very fatty, juicy, tasty and very soft. If you are unsure of the raw egg then you can try the first meat without it. 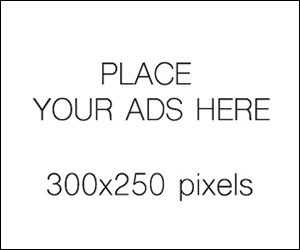 Both ways are amazing! Step 7: Cook the vegetables and other ingredients. She slowly cooked the vegetables and other ingredients with the sauce. 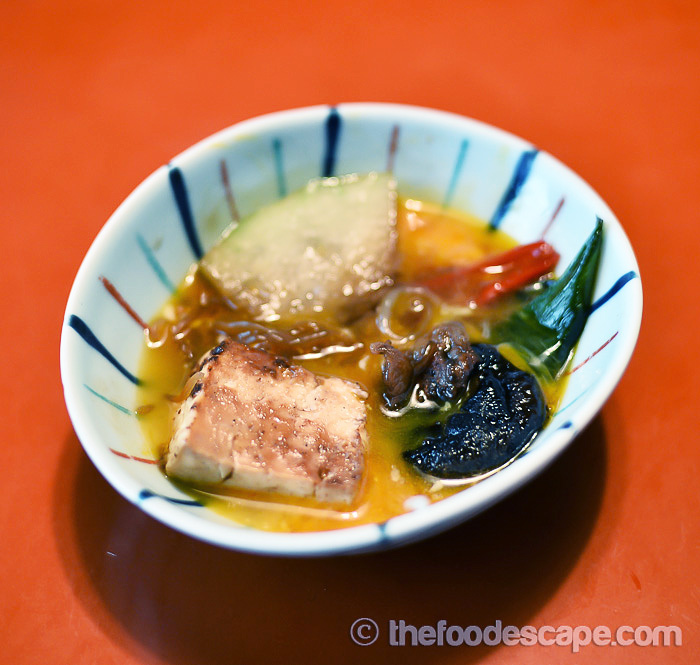 One of the ingredients that you shouldn’t miss out is the Kyoto specialty food called Fu or Ofu. Fu is basically steamed/boiled gluten that came out from wheat & salt mix dough originated from China and came to Japan in 1352. Even in Kyoto, it is hard to find recent days. 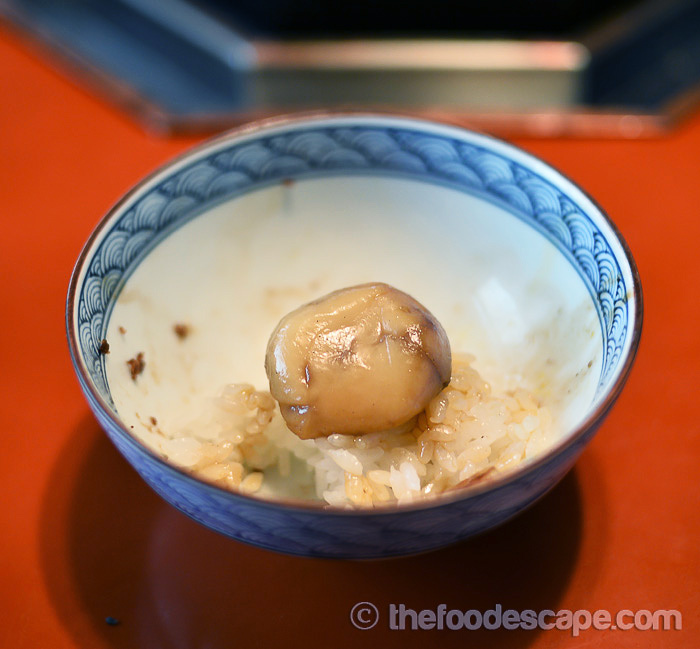 But Fu is not ready to be consuming in this phase because it has to be cooked slowly. 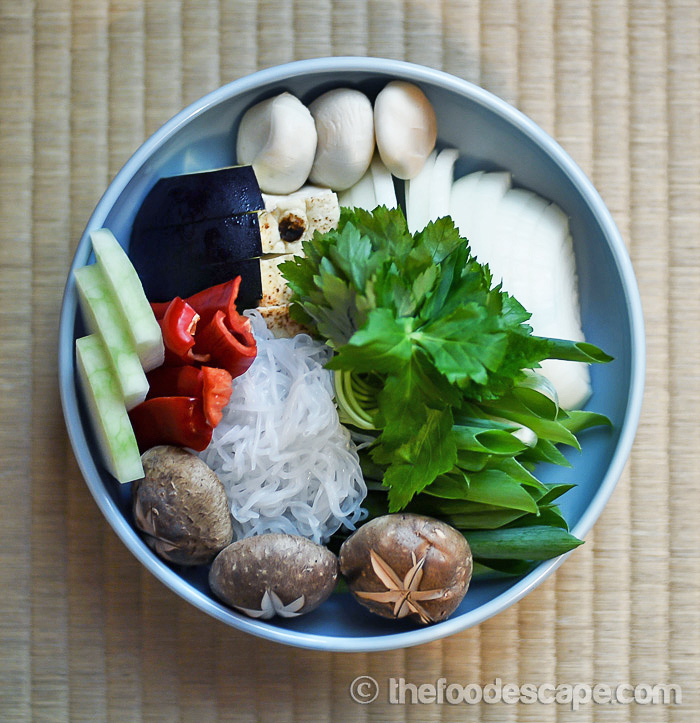 Step 9: Cook everything together to enjoy combination of both superb quality ingredients (don’t forget to keep all the juice from Sukiyaki). Step 10: Now put the last meat and all of the hungiku (Chrysanthemum leaves). Its bitterness will help dissolving fatty feeling in your mouth. Now Kyoto specialty Fu is ready to be consumed finally. Enjoy your last meat and if your tummy capacity is large enough, you can start cooking udon in the left-over juice and guaranteed it will send you to everlasting sleep on the spot! 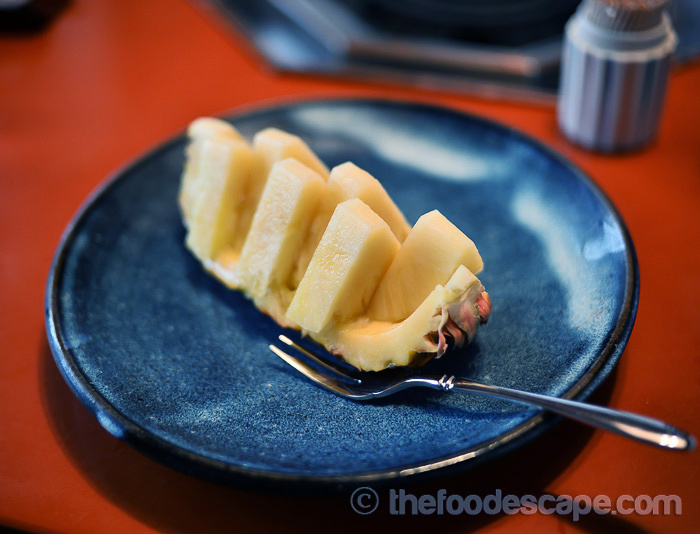 You will get complimentary pineapple fruit at the end of the course, interestingly pineapple is considered as one of expensive fruits in Japan. Souvenirs to bring back home! 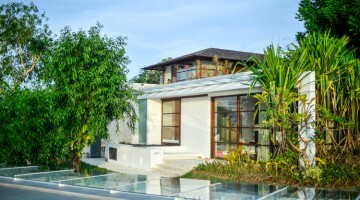 ** This review is written based on our visit on August 2015. Avoid this restaurant like the plague. 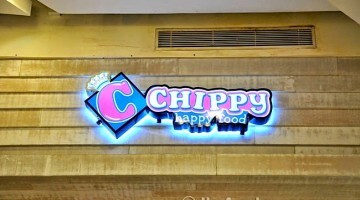 Unfriendly service and this place left a bad taste in my mouth. So sorry to read that seems you had bad experience with this restaurant. Perhaps you can elaborate some details if you want.